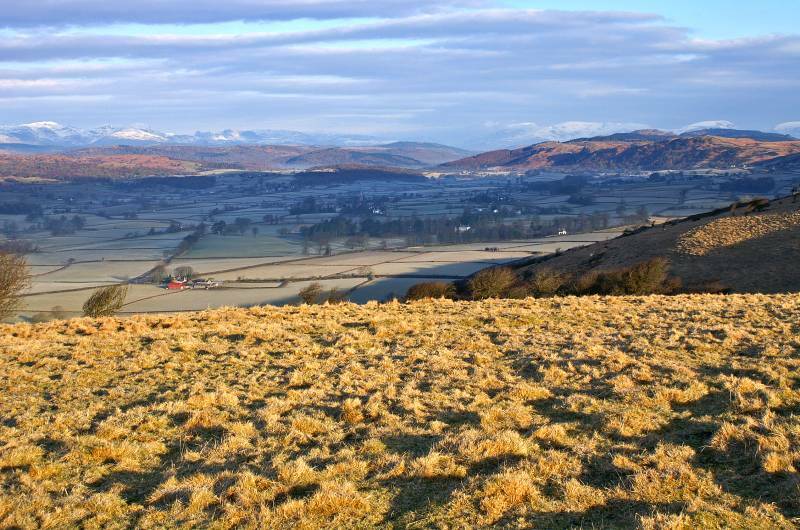 Hampsfell and Fell End above Grange. Route. Grange-over-Sands - Eggerslack Wood - Hampsfell - Fell End - Grange Fell Road - Grange-over-Sands. Notes. 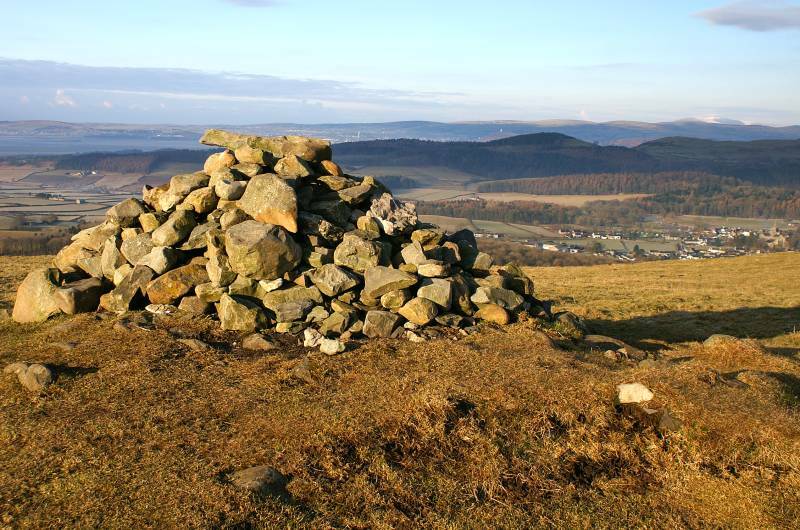 A few hours to kill before work this morning, too nice a day to ignore, why not take a walk up Hampsfell, a small hill with big views plus the bonus of Higginsons Butchers passed on the way back through Grange. I parked in the public car park on Windermere Road, after a short walk north a finger post pointed the way. Ascending through Eggerslack Wood I soon found myself crossing a stile to access the fell. Now clear of the trees the views over upper Morecambe Bay and the Kent Channel fell away before me, misty seascapes as far as the eye could see.The next stile allowed access to the Hospice, built in 1846 by the vicar of Cartmel, with the later addition of a view finder the Hospice commands wonderful views in all directions, proving you don't have to climb very high for breath-taking views. From the Hospice my route followed the grassy ridge in a southwesterly direction, crossing an unnamed summit to reach the Beacon on Fell End from where I made my descent to Grange Fell Road, descended over tarmac the smell of freshly backed pies drifted up the hill to meet me, a mouth watering reminder, I had one more stop to make before driving home. 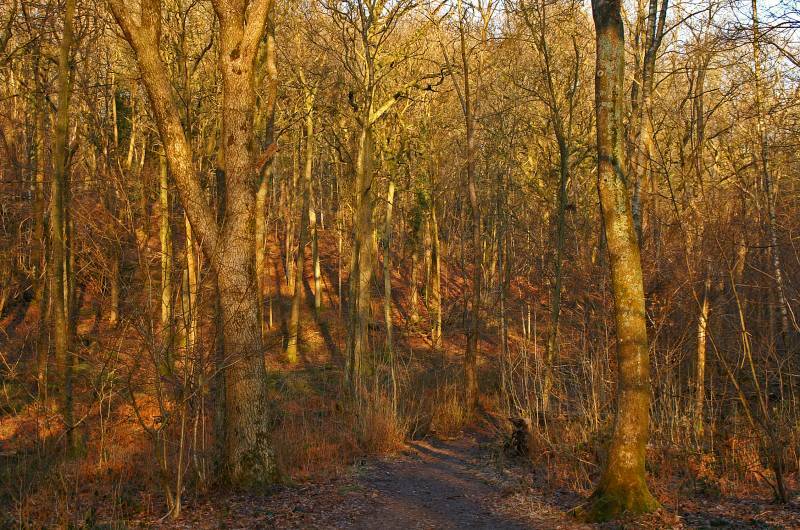 Golden light in Eggerslack Wood. 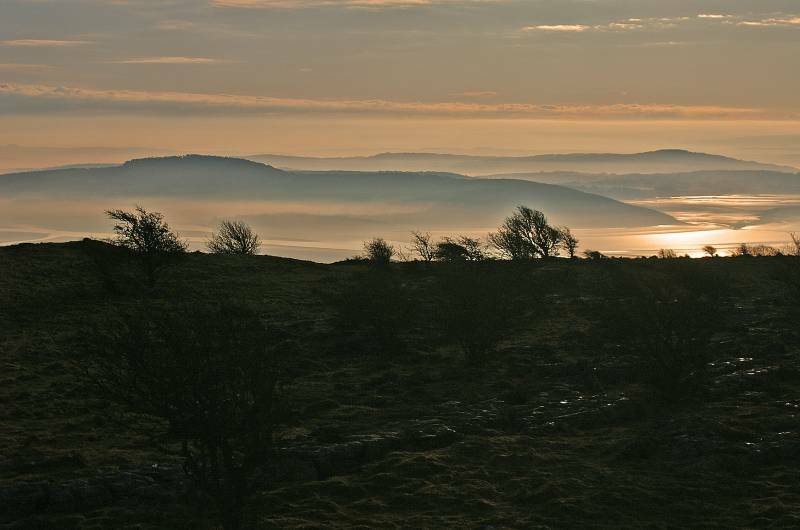 Misty early morning views over upper Morecambe Bay. 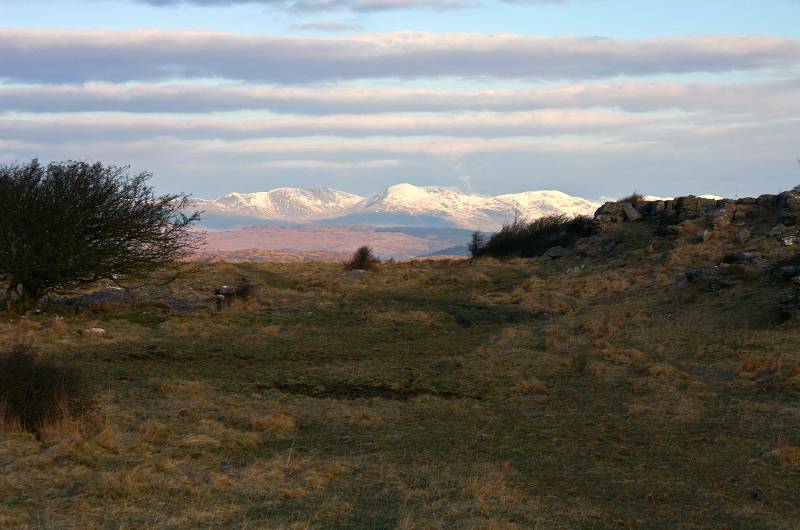 The snow capped hills of South Lakeland seen over the Newton Fells. 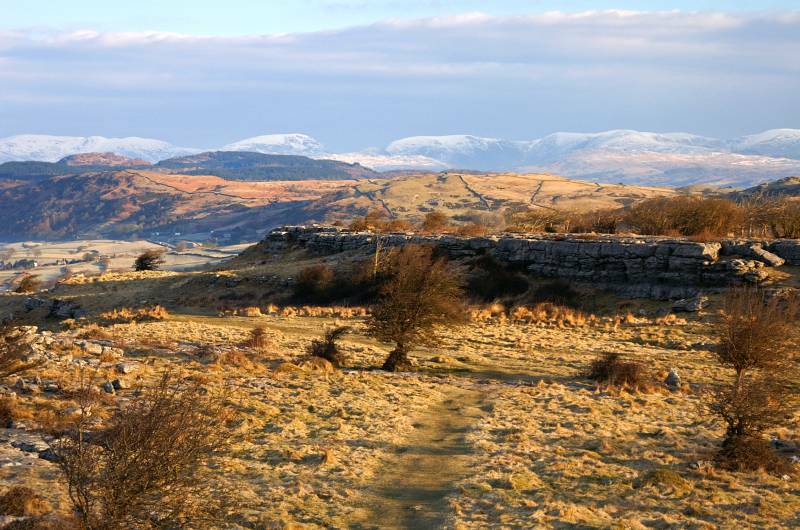 Nearing the summit of Hampsfell with a wonderful view back to Arnside Knott. 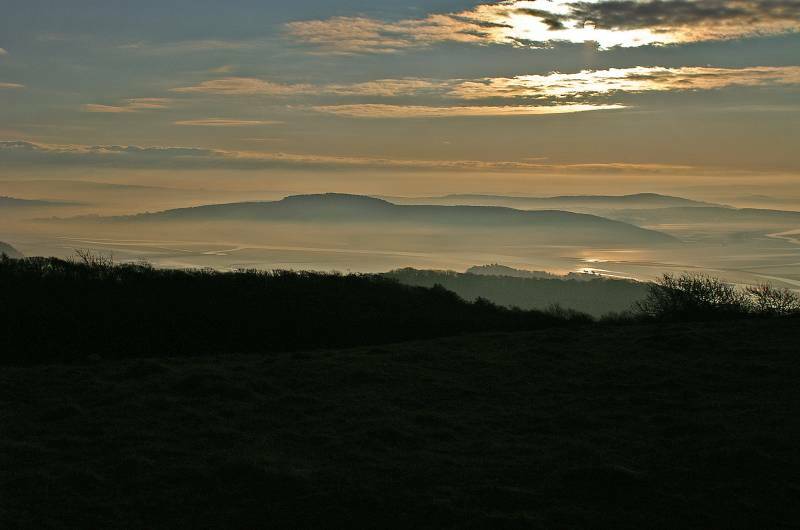 Heading up Hampsfell with views to Meathop Fell, with Arnside Knott and Haverbrack across the Kent Channel. 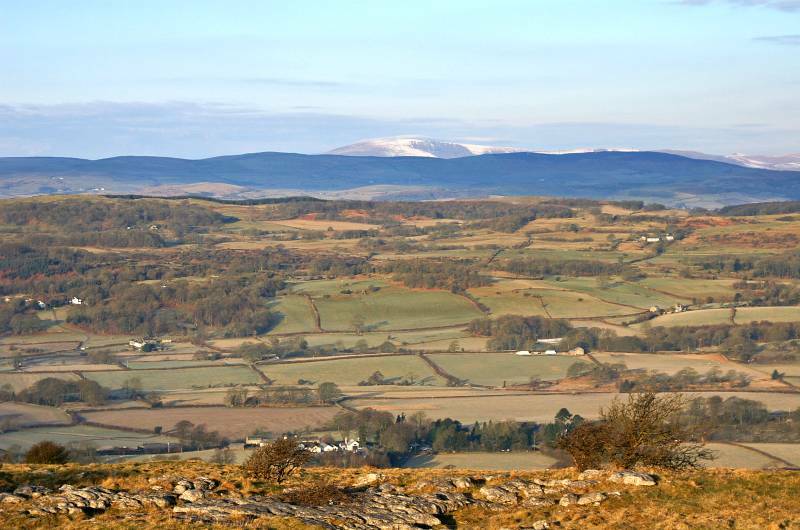 The stunning panorama from Hampsfell, over Eggerslack Wood Whitbarrow backed by the snow topped summits of the Whinfell and Howgill Fells. 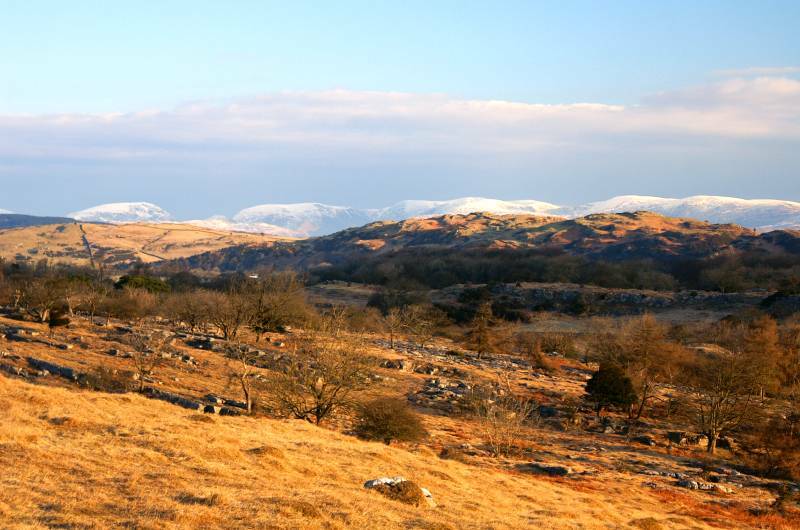 Approaching the Hospice looking to Dow Crag and Coniston Old Man. 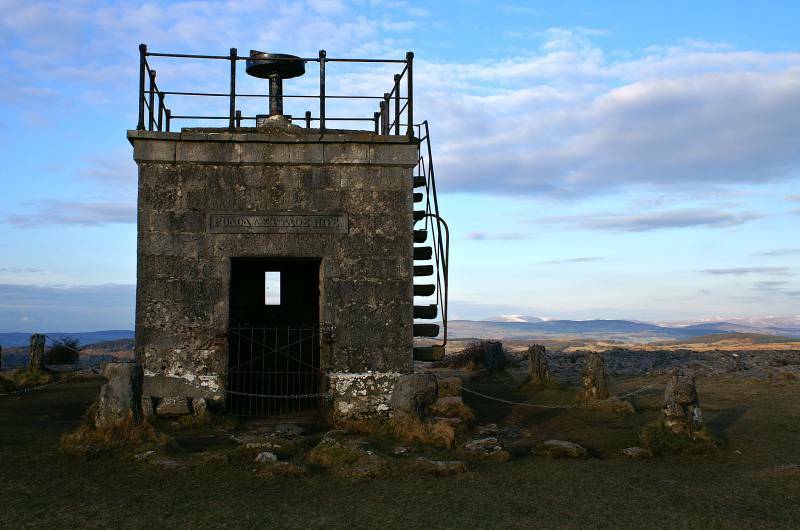 Adorning the 727ft high summit of Hampsfell the Hospice. 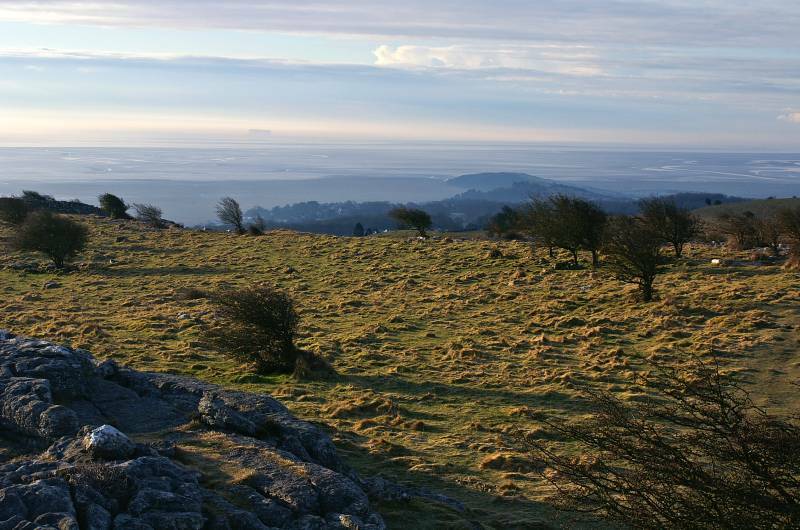 From the summit impressive views across Morecambe Bay, with Heysham Power Station rising through the haze top left, and Humphrey Head the small spit of land in the foreground. 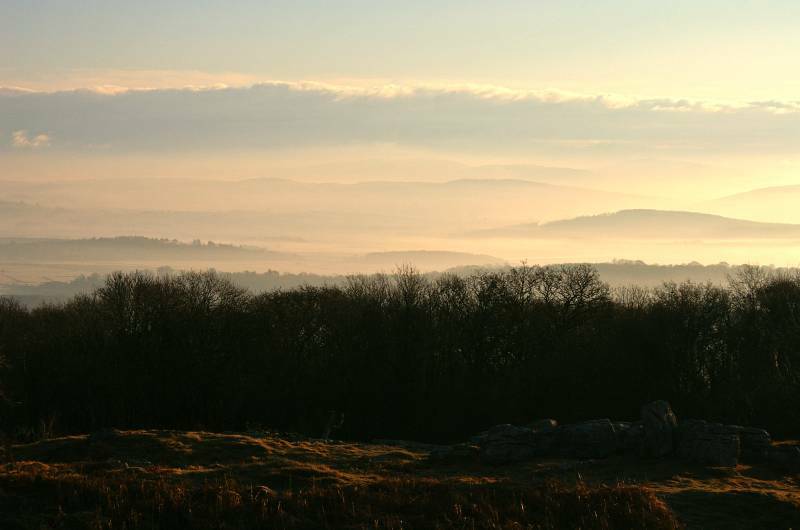 The striking view across the Vale of Cartmel as seen from the roof of the Hospice. 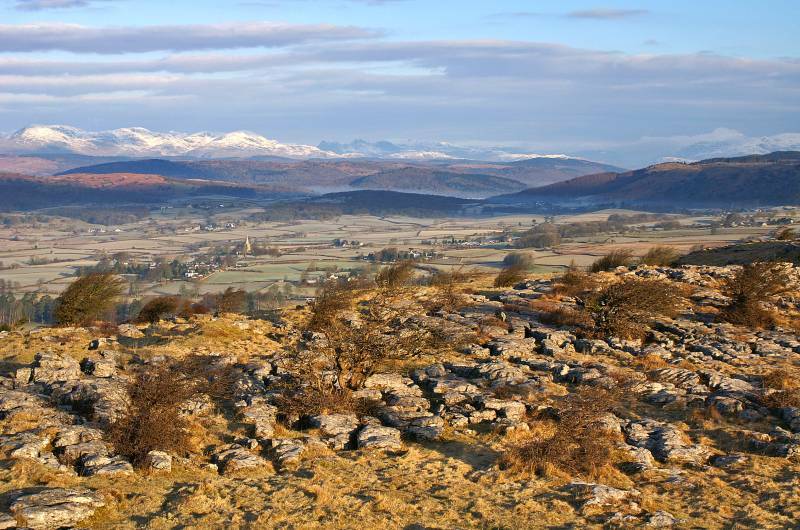 An equally good view over the Newton Fells, Gummer's How in sunlight top left with Red Screes and the High Street massif across the skyline. 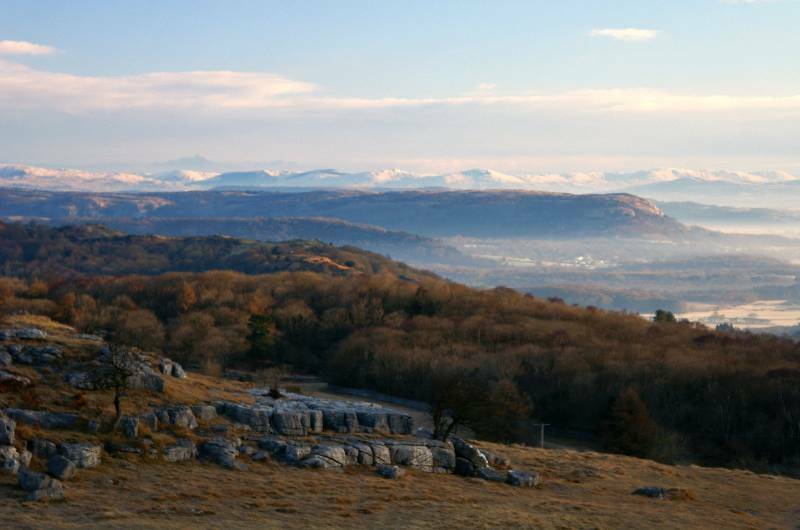 Wonderful golden seascapes seen from the Hospice, Arnside Knott, Warton Crag and the Silverdale coast. 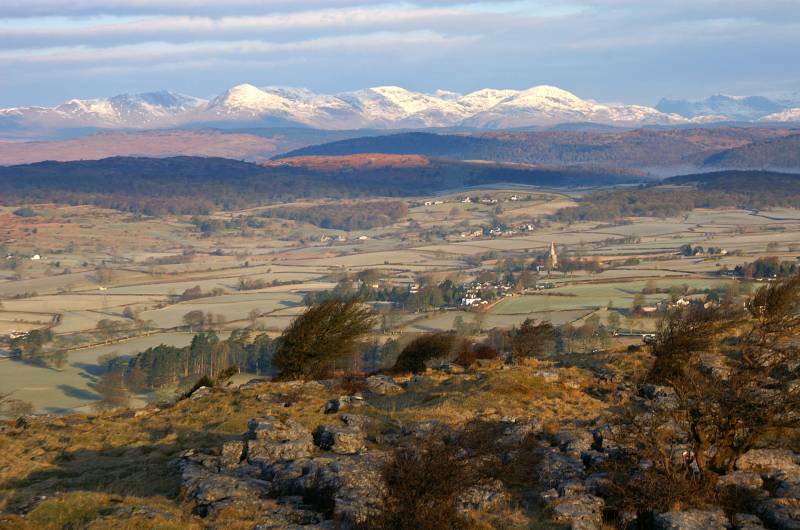 Carrying a little snow Black Combe seen across the Cartmel and Coniston valleys. Dark on the far horizon the Langdale Pikes. 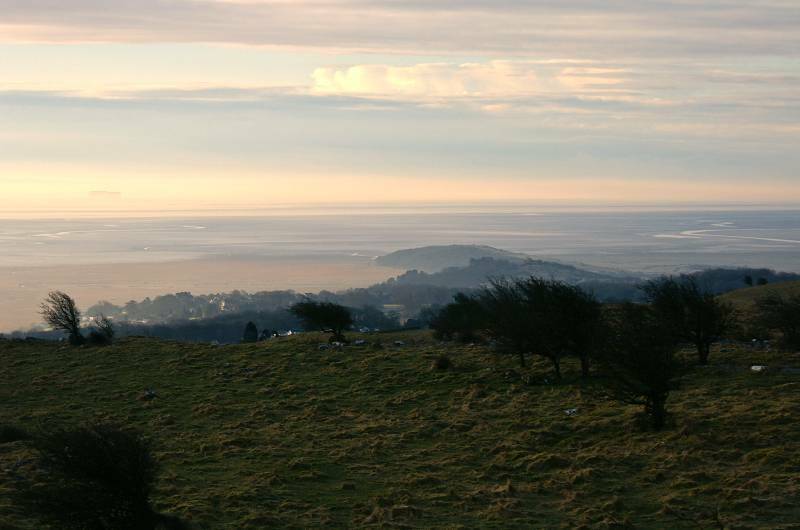 The scene over Morecambe bay on a wonderful Winters morning. The Hospice providing shelter for travelers since it's erection by the vicar of Cartmel in 1846. 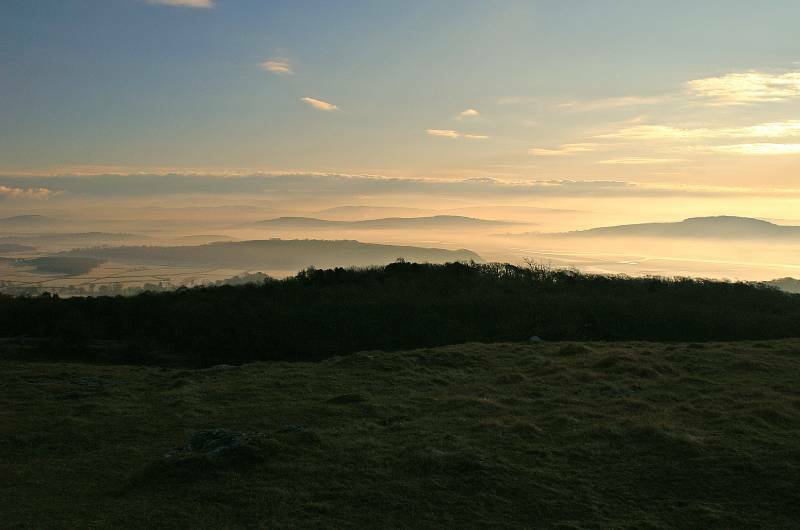 On an unnamed summit between Hampsfell and Fell End with stunning views over the Vale of Cartmel. 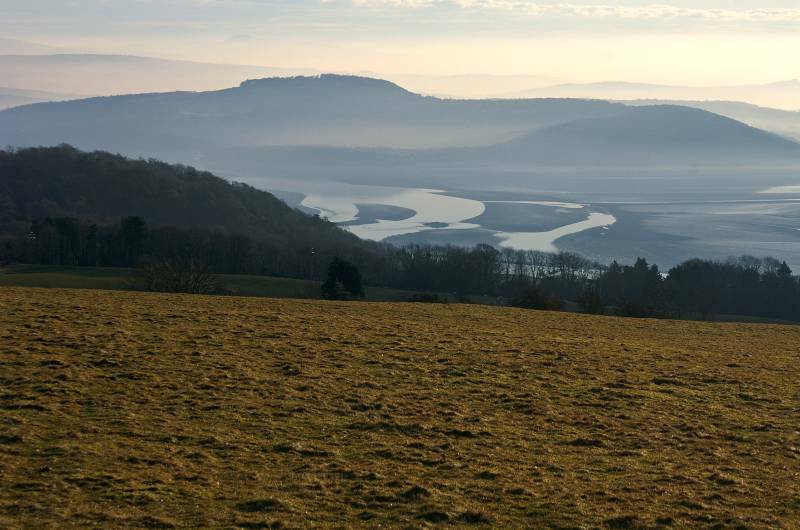 Looking to the Kent Channel backed by Arnside Knott. 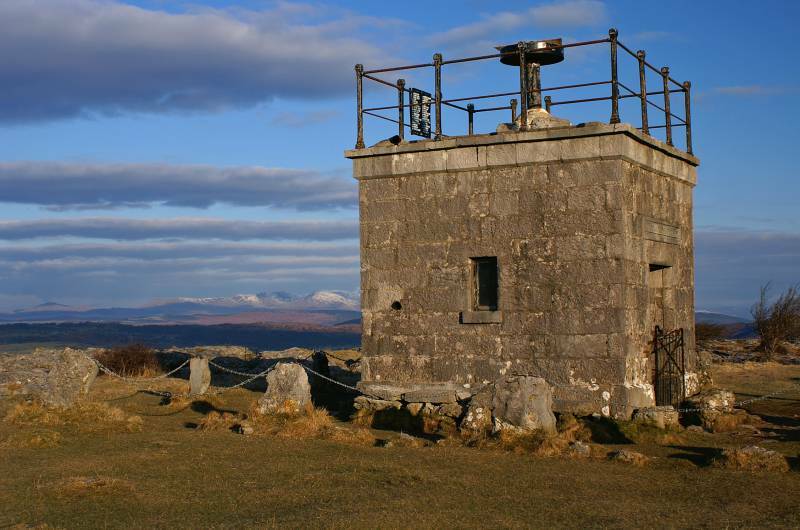 The Beacon on Fell End provides a spectacular view over the Furness Peninsular. 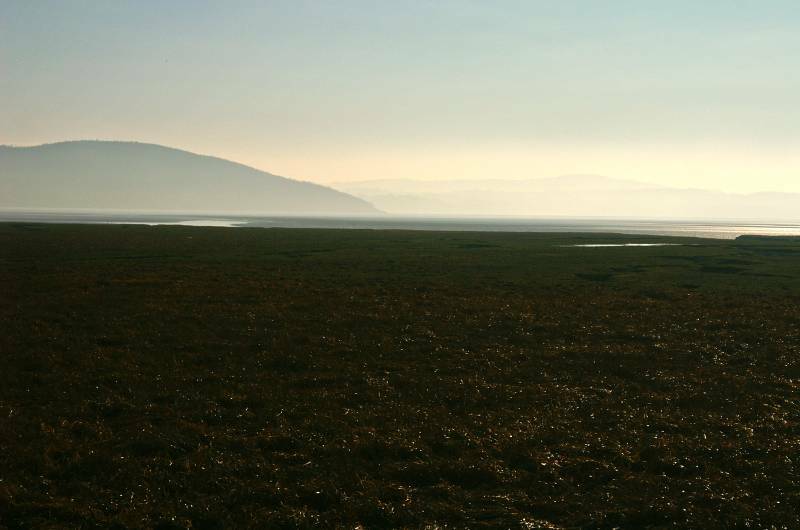 Holme Island seen from the Promenade Grange-over-Sands. 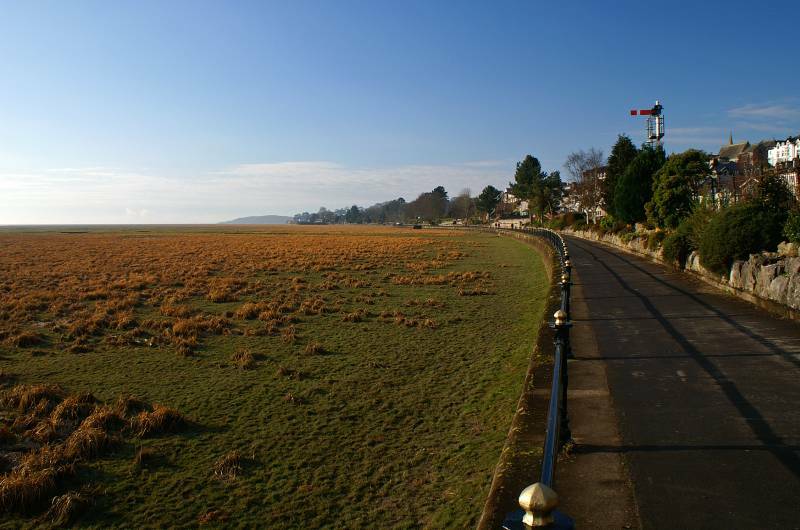 Quiet this morning the mile long promenade at Grange-over-Sands, I'm killing time waiting for the pie shop to open. 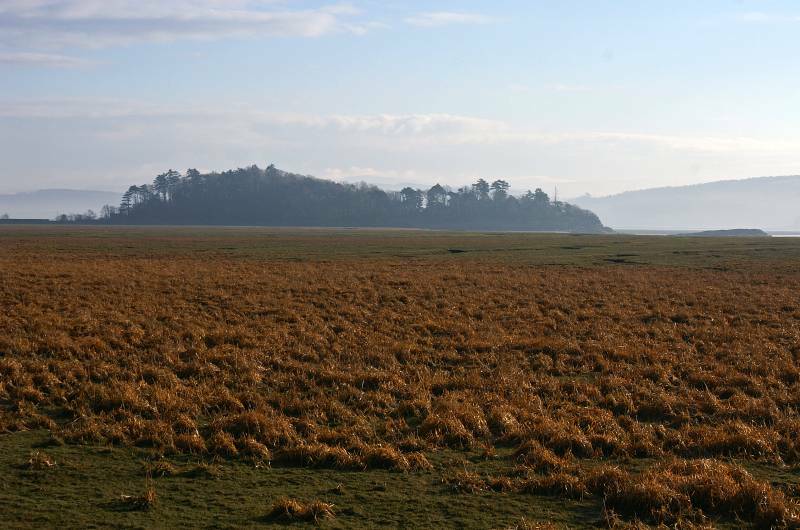 Seen across sea washed turf and the shifting sands of Morecambe Bay, rising through the haze Arnside Knott.